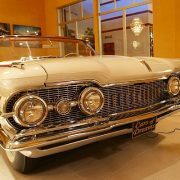 The Oldsmobile 88 (a.k.a. 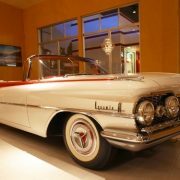 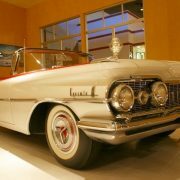 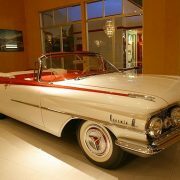 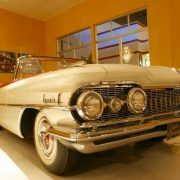 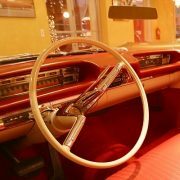 Eighty-Eight) was a full-size car sold by the Oldsmobile division of General Motors and produced from 1949 until 1999. 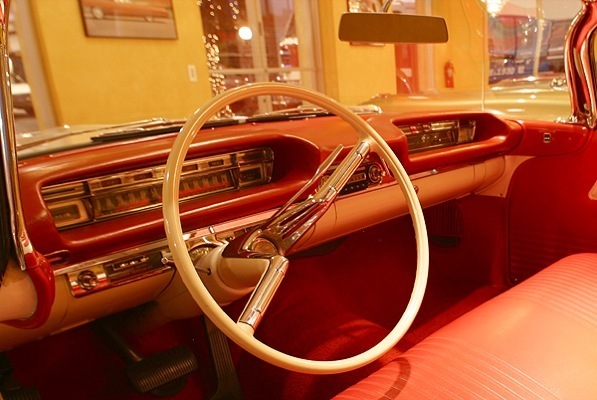 From 1950 to 1974 the 88 was the division’s top-selling line, particularly the entry-level models such as the 88 and Dynamic 88. 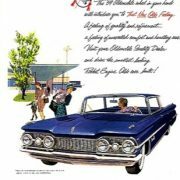 The 88 series was also an image leader for Oldsmobile, particularly in the early years (1949 – 51) when it was one of the best performing automobiles thanks to its relatively small size, light weight and advanced overhead-valve high-compression V8 engine originally designed for the larger and more luxurious 98 series but dropped into the smaller six-cylinder Oldsmobile 76 body, creating what was considered the granddaddy of the musclecars of the 1960s. 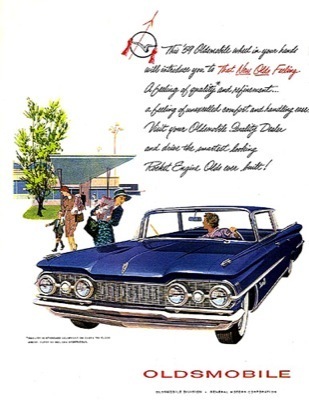 A large number of variations in nomenclature were seen over this long model run – Delmont, Delta, Dynamic, Jetstar, Starfire, Super, Holiday, L/S, LSS, Celebrity, and Royale were used at various times with the 88 badge, and Fiesta appeared on some station wagons in the 1950s and 1960s. 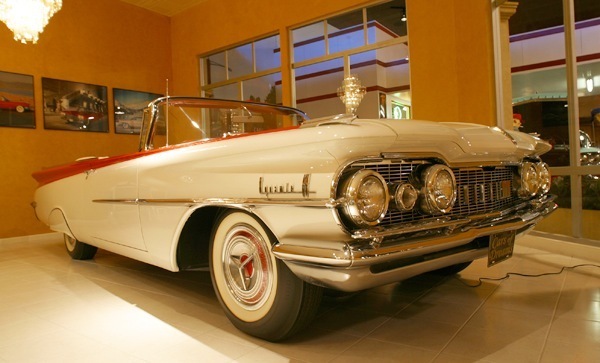 The name was more commonly shown as numbers in the earlier years and was usually spelled out in the later. 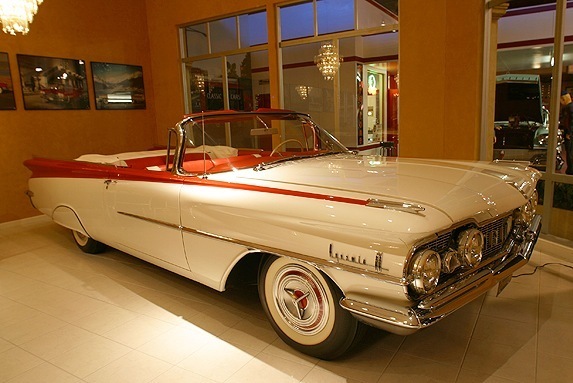 The Oldsmobile Eighty Eight was produced in Wentzville, Missouri; Flint, Michigan; and Lake Orion, Michigan. 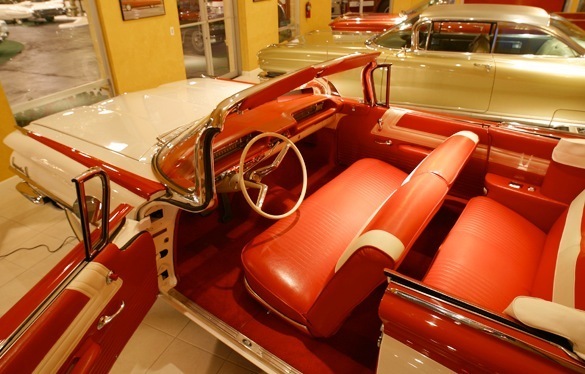 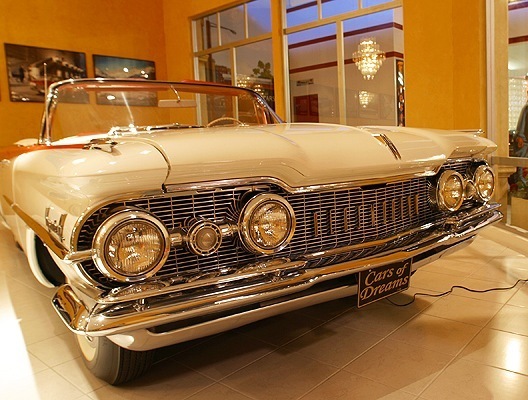 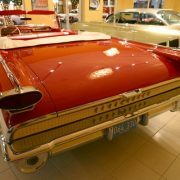 All Oldsmobiles were completely restyled for 1959 with a longer, lower and wider body on the basic GM B-body, which for the first time was used on all of General Motors’ standard-sized cars from the lowest-priced Chevrolet to the most-expensive Cadillac. 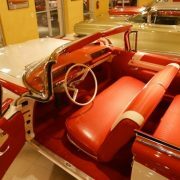 Styling highlights for the new models, promoted as the “Linear Look,” included six-window styling on four-door pillared sedans, glassy semi-fastback rooflines on Holiday coupes and flat-blade rooflines with thin windshield and C-pillars on Holiday sedans which created a “fishbowl”-like effect. 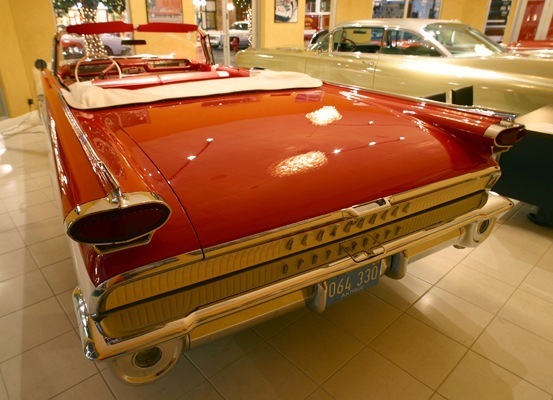 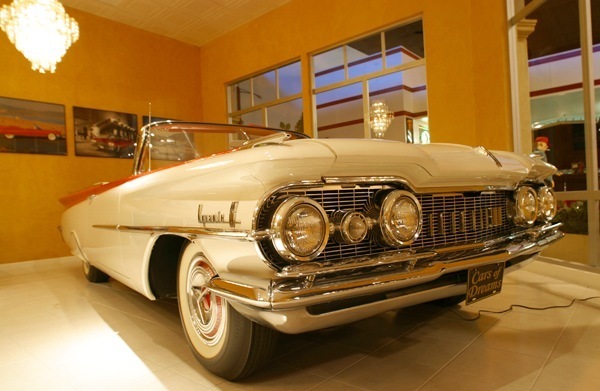 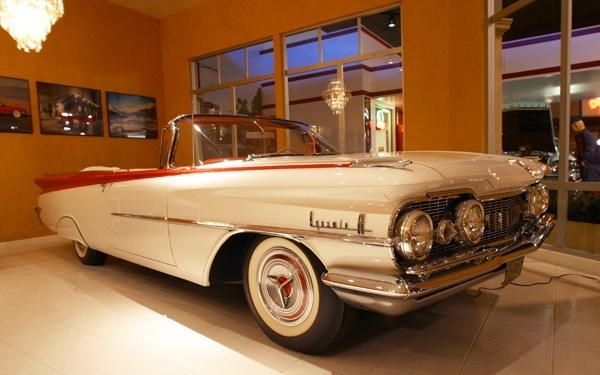 While many 1959 model cars featured bigger and sharper fins, Olds featured more subdued “oval” fins and far less chrome than the ’58 model for a much cleaner look. 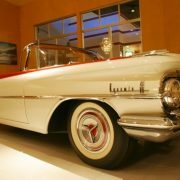 Wheelbases on 88 models increased by one inch to 123 inches (3,124 mm) while Ninety-Eights stayed at 126 inches (3,200 mm). 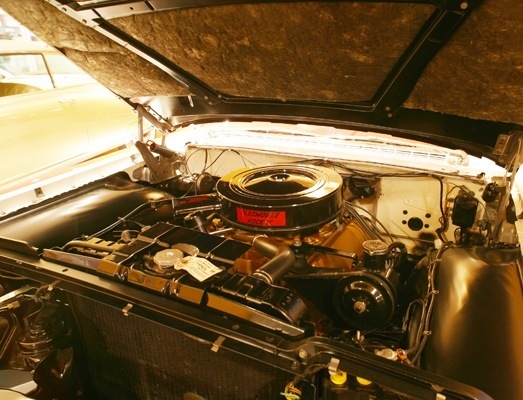 A larger 394 cubic-inch Rocket V8 with four-barrel carburetion and rated at 315 horsepower (235 kW) was standard equipment on Super 88 and Ninety-Eight models. 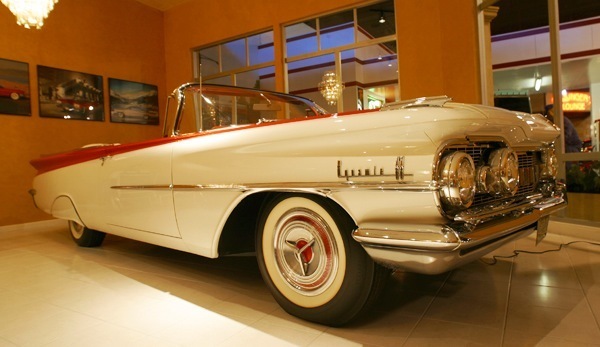 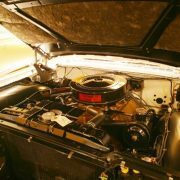 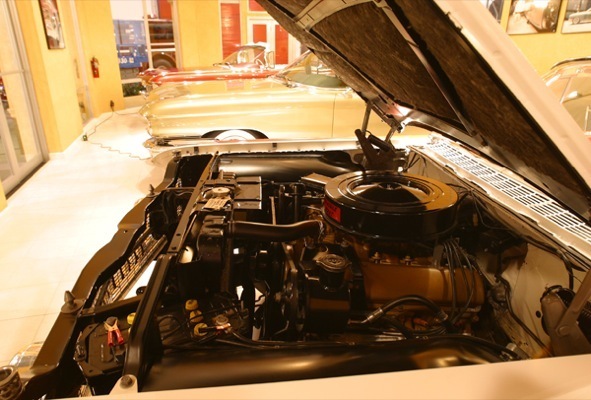 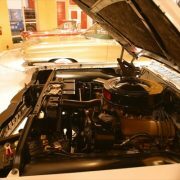 The lower-priced Dynamic 88 series was powered by 371 cubic-inch Rocket V8 carried over from 1957-58 rated at 265 horsepower (198 kW) with two-barrel carburetion, or optional four-barrel version rated at 300 horsepower (220 kW).